By 2025 Online grocery sales are predicted to capture 20% of total grocery retail. This will account for $100 billion in consumer sales, according to a study by the Food Marketing Institute conducted by Nielsen. Grocery is the next major retail sector to be disrupted by e-commerce. 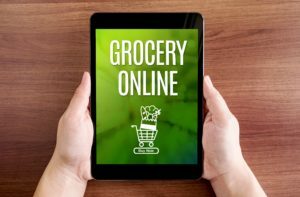 Estimates of online grocery’s share of the total $641b U.S. grocery market vary, from 2% to 4.3% according to FMI-Nielsen. Howell Data Systems is ready to work with your team to bring your branded in-store shopping experience online. Your Online Store will be customized to reflect the “look and feel” of your unique business.